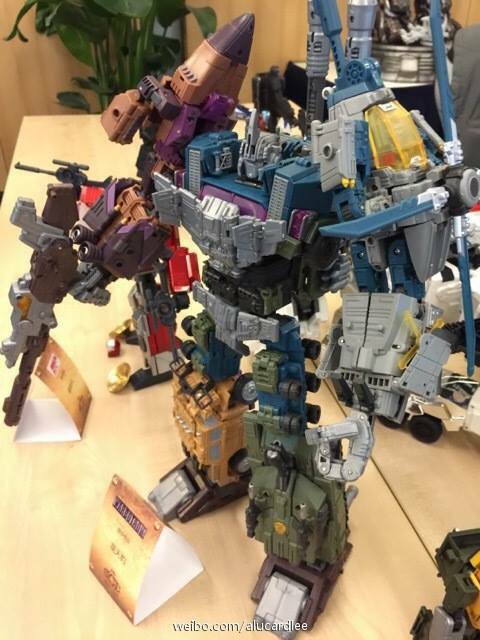 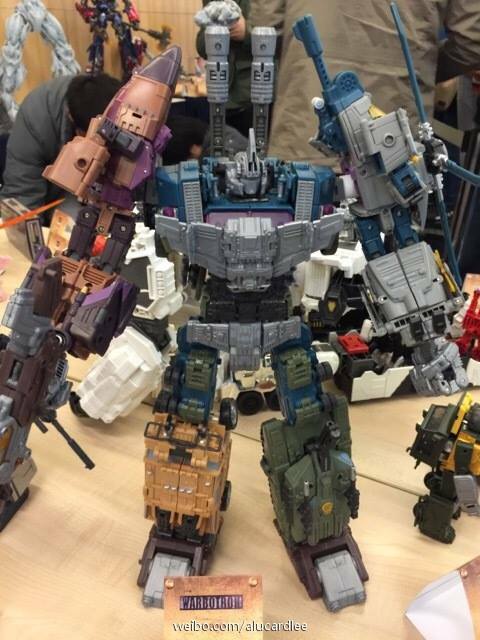 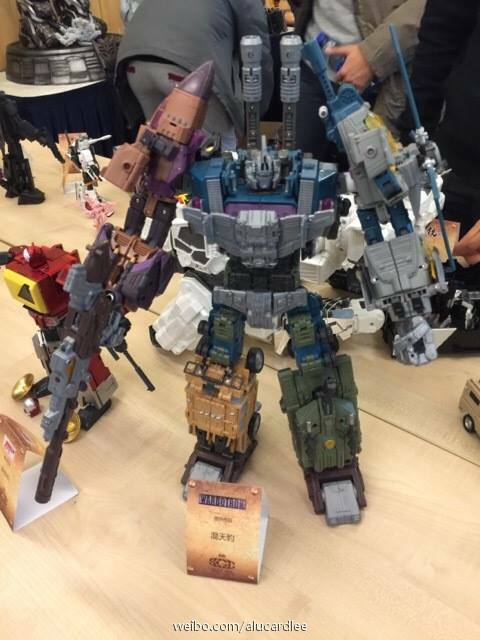 More images via Weibo showing third party combiners, and this time, we have a look at the fully combined Warbotron Bruticus all in color. 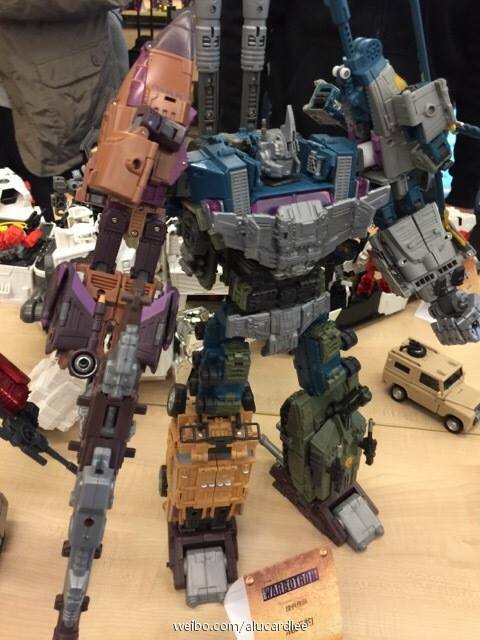 We can see “The Brute” as we’re affectionately calling him fully combined, so we also get our first glimpse of the Warbotron Onslaught in color. 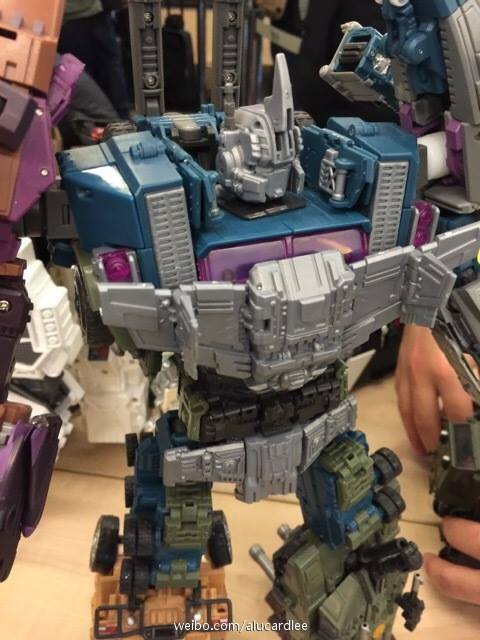 It’s also reported those cannons on the back can pivot forward.